Sending this bouquet just might be your brightest idea of the day! 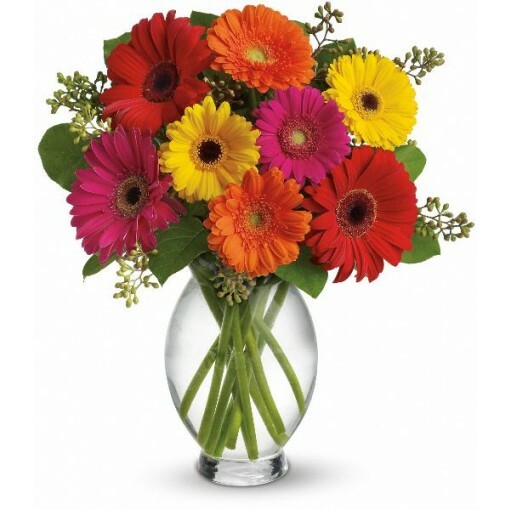 Gerberas are so full of color, charisma and character, and this arrangement showcases their glory. 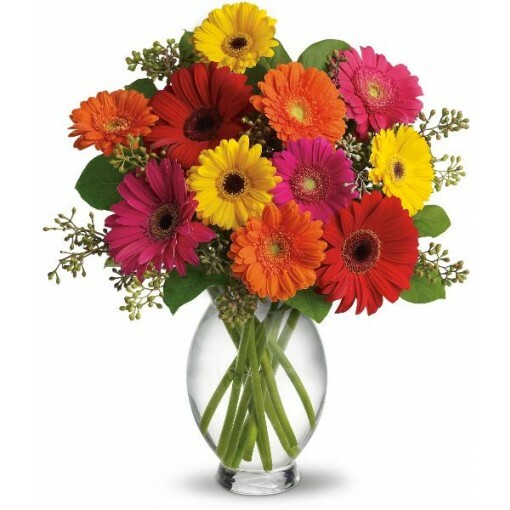 Hot pink and red gerberas, miniature hot pink and orange gerberas and yellow seeded eucalyptus are delightfully delivered in an Inspiration Vase. 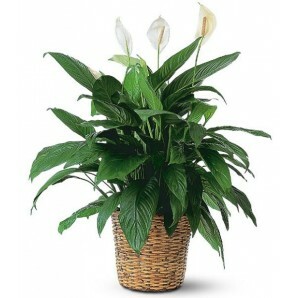 Approximately 13 1/2" W x 15" H.